When VIOLET GREY gossips, it's to gather affectionate words of praise from those who know the subject best. The latest object of chatter is Charlotte Le Bon, the doll-eyed, willowy Canadian model turned film actress in the much-anticipated fashion biopic, Yves Saint Laurent (in theaters June 25). While international film stardom appears to be Charlotte’s destiny, (both of her parents are actors), the 27-year-old began her career in front of the camera as a model. Le Bon moved from her native Montreal to Paris to further her career, but was cast on French television instead. She gained immediate recognition playing Miss Météo (a quirky weather girl) on Le Grand Journal de Canal+, which led to her eventual casting in films including Mood Indigo (a whimsical love story starring Audrey Tautou), Le Marche (a civil rights drama), and this month’s Yves Saint Laurent (produced by The Weinstein Company). 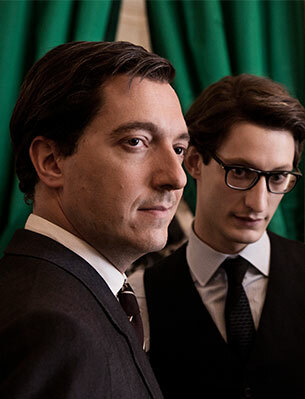 In the biopic, she plays Victoire Doutreleau, the platonic partner and muse to the illustrious French designer. With her growing resume, it seems Hollywood, too, has taken notice: Her first English language project, the Steven Spielberg-produced film The Hundred Foot Journey, debuts next month. When asked to describe Le Bon in only three words, Jalil Lespert (director of Yves Saint Laurent) pauses, then with staggering French charm, replies, “accessible, inaccessible, and therefore, fascinating.” Fall in love with Le Bon, as it seems everyone does, including Lespert, her Saint Laurent co-star Pierre Niney, and Dominique Collandant, the film’s makeup artist; then learn how to create a look inspired by her character, the entrancing Doutreleau, below. Charlotte has an incredible face that’s half model, half doll; half modern and half Japanese MANGA. Charlotte is talented. But more than that, she was born to be an artist. She is agreeable, flexible and malleable, but at the same time she brings a great amount of depth to her work. 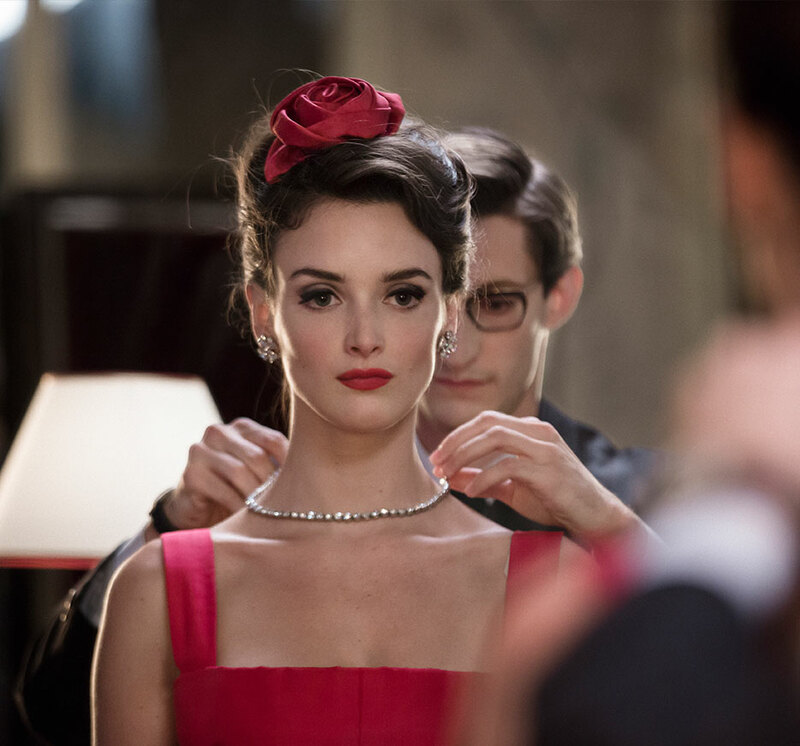 Yves Saint Laurent Beauty created an original look inspired by Charlotte Le Bon’s character, Victoire Doutreleau, from the Yves Saint Laurent feature film. Here, the necessary steps required for a soft, tawny eye and rose tinged cheeks. After applying the desired foundation and concealer, blend YSL’s Kiss and Blush into the apples of the cheeks with your fingers. Using YSL’s Couture Palette in No. 07 Parisienne, layer shades to create drama. Dust the light pink hue over the entire lid and the peach hue on the brow bone for luminosity. Apply the darkest brown hue in the crease of the eye with a classic shadow brush, then line the top and bottom lashlines with the same hue and a thin liner brush. Apply a thick coat of YSL’s Volume Effet Faux Cils Baby Doll Mascara in Fetish Black to the top and bottom lashes. 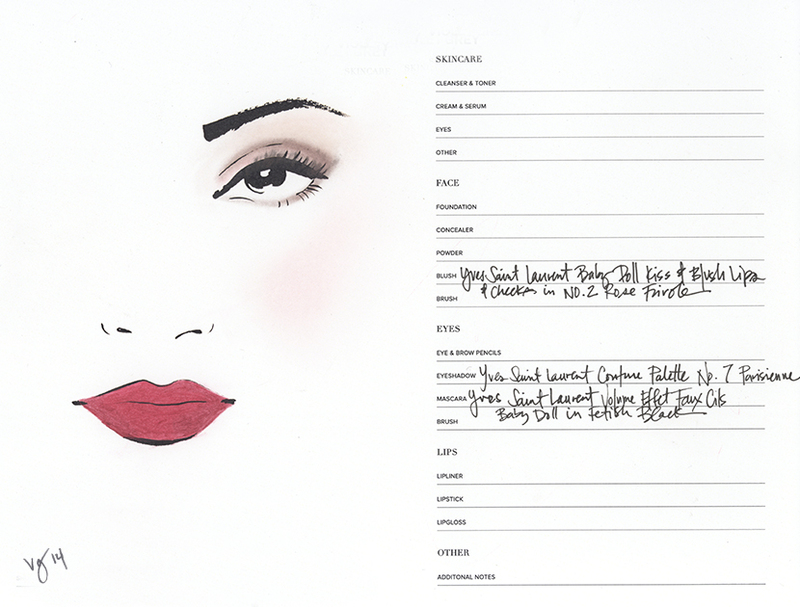 Finish with a swipe of YSL’s Rouge Pur Couture Lipstick in No. 09 Rose Stiletto. In polite society, smoking is LESS than appealing, YSL's Le Smoking tuxedo however, is a NECESSITY.